Top Chef Brooke Williamson pays homage to Hawaiian cuisine with the opening of Da Kikokiko Playa Vista. 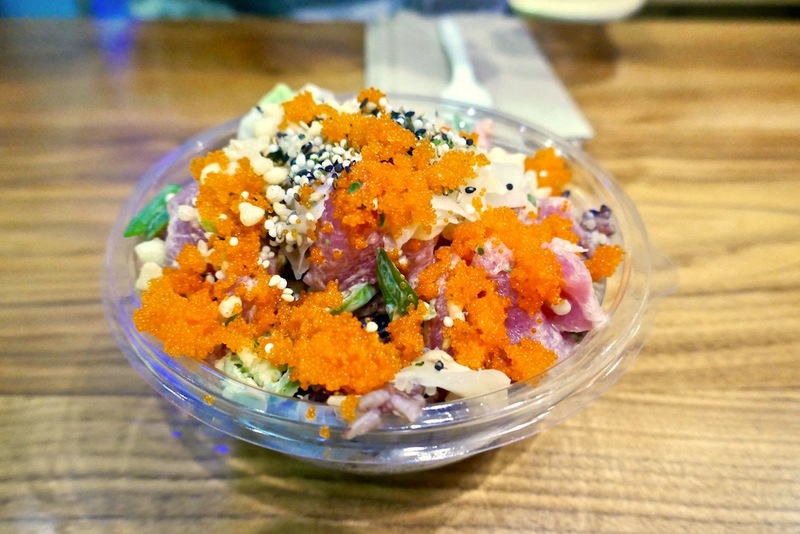 This fast casual spot has poke bowls, musubi and shaved ice to please the whole family. Brooke Williamson has been making quite a name for herself. She's been a notable chef in Los Angeles for years now with hit restaurants on her hands like Playa Provisions and Tripel in Playa del Rey. Then she went and won Top Chef last year to cast her star even brighter. Now she opens Da Kikokiko, a casual Hawaiian restaurant in Playa Vista's Runway. Playa Vista is the little community that has emerged from nothing. It's a planned development with new restaurants and stores opening on a regular basis. I like popping into Urban Plates before seeing a movie at the fancy Cinemark located right there. Now I have Da Kikokiko, a new restaurant to grab a bite before a movie, or before drinks and music once Hal's opens across the street. Da Kikokiko is Hawaiian for "the spot" and is a cheery little spot for lunch or a casual dinner. There's pre-made signature poke bowls like spicy yellowfin tuna with scallion, shaved serrano, smelt egg, furikake and tempura crumb, or octopus with yuzu kosho, kimchi, edamame, scallion, ogo, cilantro, and sesame. What I love is that you can choose your own base. My low carb, paleo friends can opt out of a rice or grain base and pick between a sesame kale and cucumber foundation or a seaweed and bean thread noodle salad. I went kale and cucumber and was not disappointed. I also picked the slightly overwhelming option of designing my own poke bowl. In addition to choosing your base, you get up to 4 toppings included in the $8.95 bowl. I went with cilantro, cucumber, pickled ginger, and furikake. My protein was lomi-lomi salmon, but you can also go vegan with japanese eggplant. Spam musubi is a popular Hawaiian snack. Yes, I said spam. It sits on a large, warm block of rice wrapped in salty seaweed. And it's divine. Seriously. 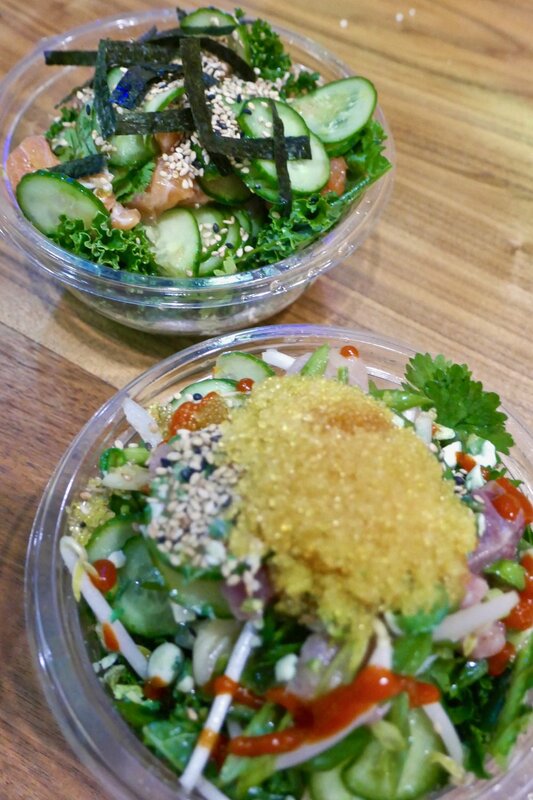 You're going to want one of these if you go with a small poke bowl. They do have a vegan musubi with sesame miso zucchini. It's no spam, but still a nice snack. Teriyaki chicken and yuzu kosho salmon are also musubi options. There's no alcohol on site, but you can choose another Hawaiian favorite, shaved ice, for dessert. As is traditional, you can pick up to three flavors to douse your ice like kona coffee, guava, vanilla bean or dill pickle. Da Kikokiko offers a family-friendly casual restaurant in Playa Vista's Runway, for the whole family to enjoy.